I was waiting to get off the train this morning and I spotted a beautiful dog on the train, I didn’t have time to take her picture though! 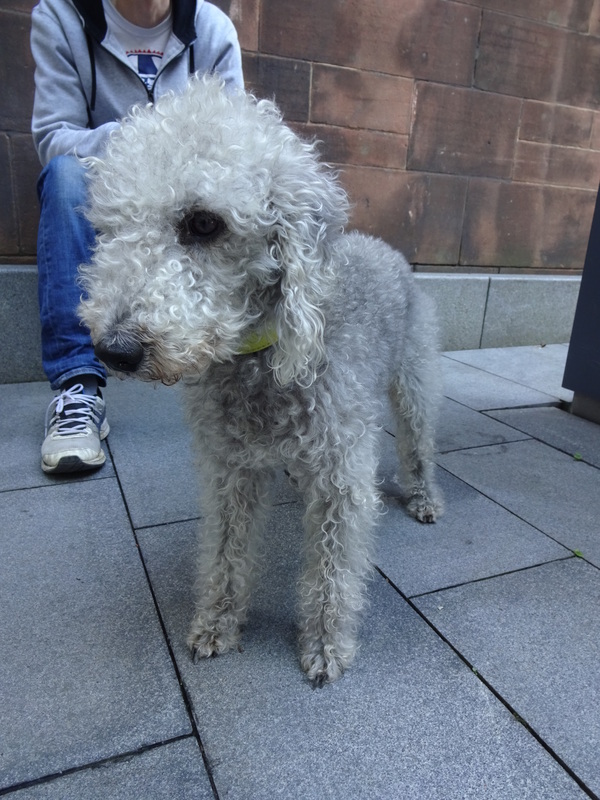 I was at the reception desk at work when I spotted a lovely Bedlington Terrier outside, very exciting! I went outside to meet handsome Larry and fortunately Larry’s very kind human dad didn’t mind waiting whilst I ran up to my office to get my camera! Larry is a very nice boy, I gave him lots of strokes and when I was saying goodbye he pulled back towards me for one more fuss! He also has a real spring in his step, he almost skips! Larry’s humans got him when he was 1 year old from some people that had two other big dogs. They think the other dogs might have been picking on Larry as he didn’t look too great. Fortunately he now has a good home and gets lots of fuss, he’s a bit of a lap dog! 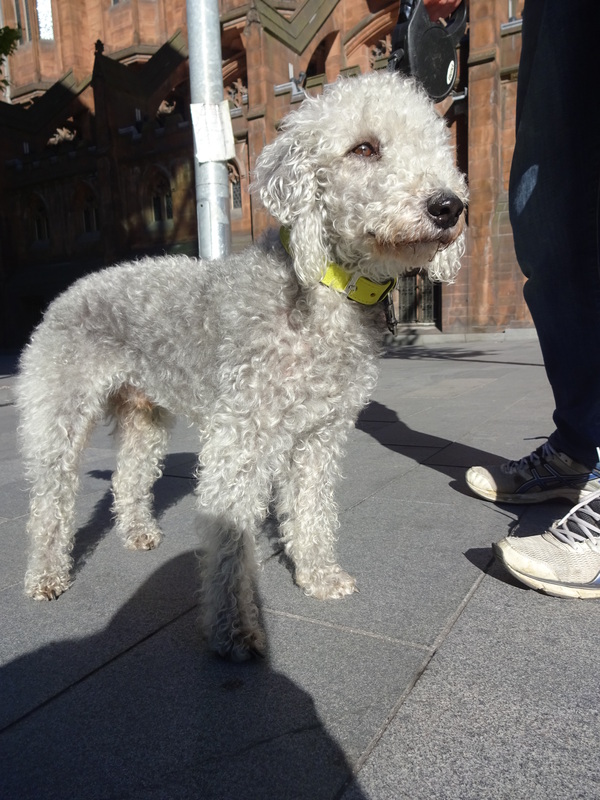 I love Bedlington Terriers so much, Larry is beautiful…we would have been very happy with a Beddie (although of course we love Rey!) but finding good breeders that we could travel to proved very tricky! Larry is really lovely! Bedlington’s are in the top 10 of rare dogs in the world so I’m really lucky to have met two this year! I was very happy when I saw him!